A French designer with a flourishing reputation, Pauline Deltour takes inspiration from everyday objects, creating useful, sturdy, and poetic works of art. 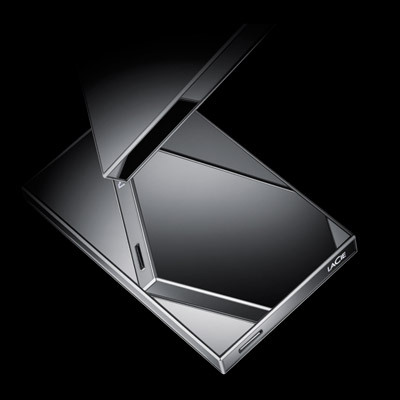 With the LaCie Mirror, she took a staple of modern life — digital storage — and recast it into something as multifunctional as it is radiant. In addition to its rich color, Makassar ebony wood is treasured worldwide for its smooth finish and exceptional density. Elevated by its stand, the LaCie Mirror reflects and adds dimension to elegantly decorated spaces. 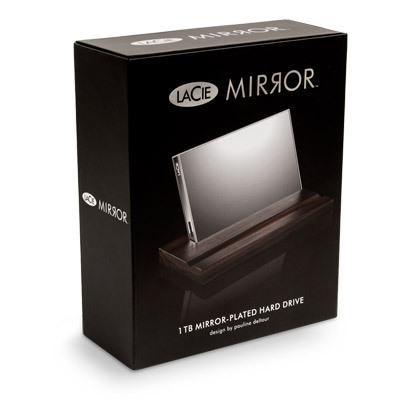 Slip the LaCie Mirror into its soft carrying case for travel. 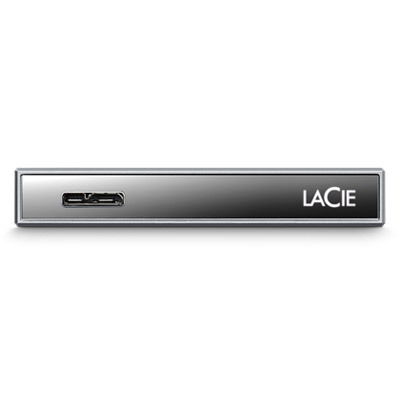 Encased with Corning® Gorilla® Glass 3, which is widely used for premium mobile devices, the LaCie Mirror is durable and scratch resistant. It is also powered through the USB cable, so no power cord is needed. Imagined in the Paris studio of Pauline Deltour, the LaCie Mirror is an exclusive work of contemporary design. 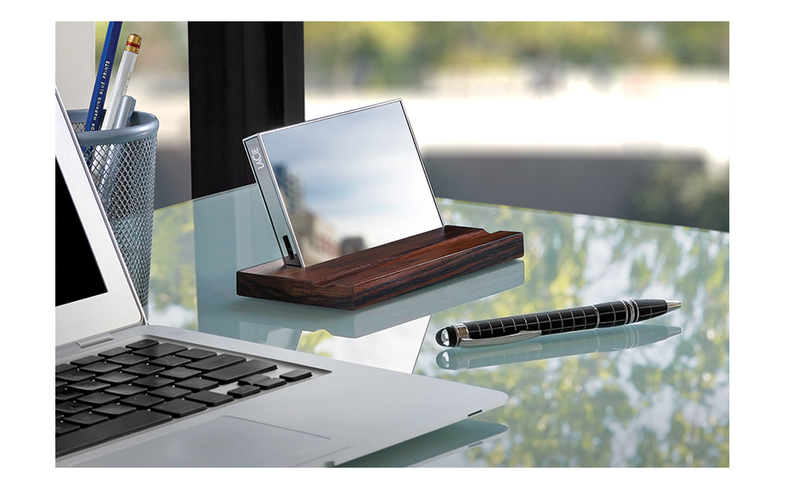 At home or abroad, it brilliantly reflects your world.